I'm back with another Haul. It's officially October and you know what that means - Halloween Makeup tutorials! I've got some great things planned for you all. Before all of that, I want to make sure that I have the proper supplies to do the looks since Halloween Makeup is quite different than glamour makeup. 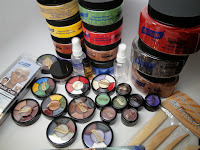 My lovely friends at Graftobian supplied me with a lot of goodies. Check it out! Spirit Gum is always a must-have for Halloween. You use it to attach anything from prosethetics to hair and jewels. I like to use Modeling Wax to create texture on the skin. 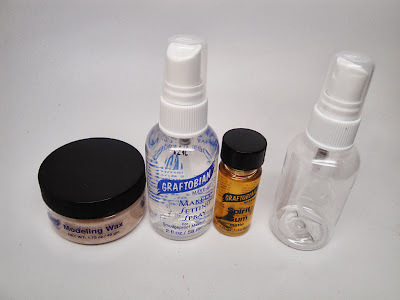 I'm also giving Graftobian's Makeup Setting Spray a shot because I haven't used it too much in the past. I also got an extra spray bottle, you never know when you need one! Crepe Wool is great when you're adding on facial hair or fur. 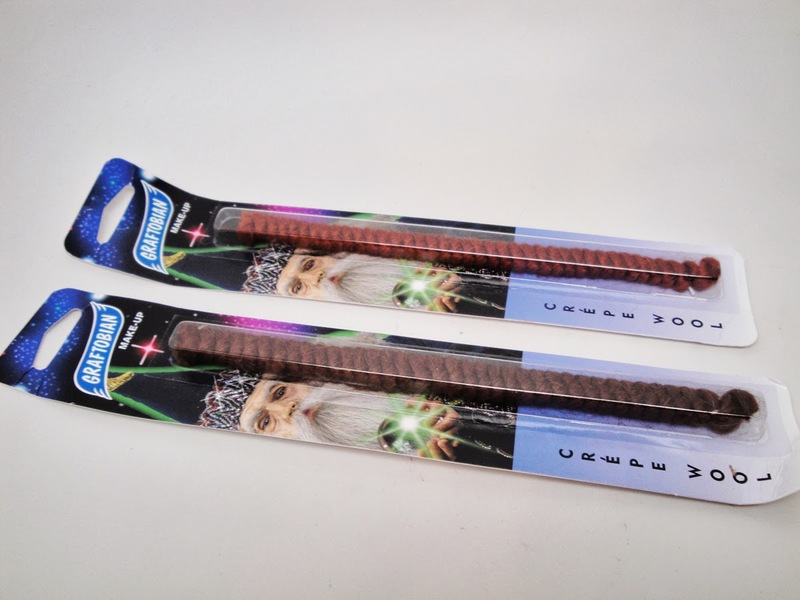 Simply unbraid, cut as needed as stick onto the skin with spirit gum. I picked up a bunch of creme liners in various colors to help draw details onto the skin. 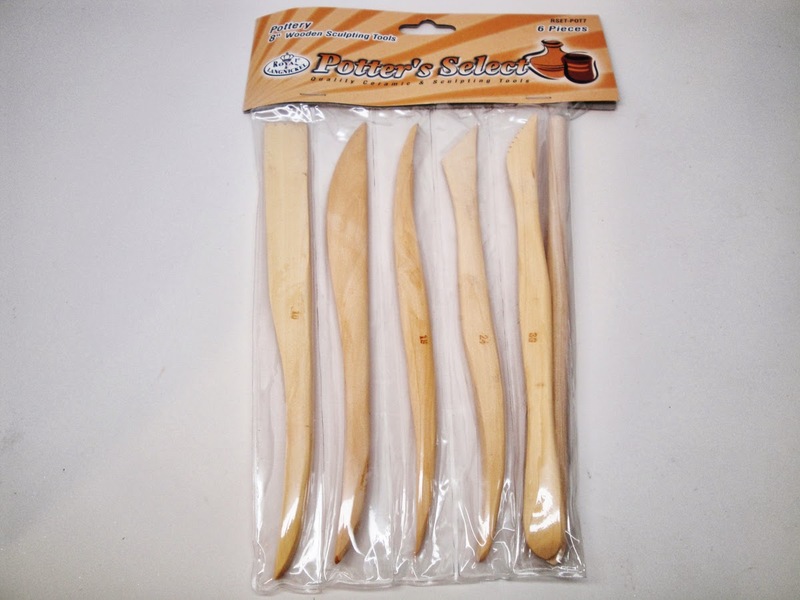 Great for drawing on masks! When you're doing a full body makeup, these large powders are great for covering the body and clothes. 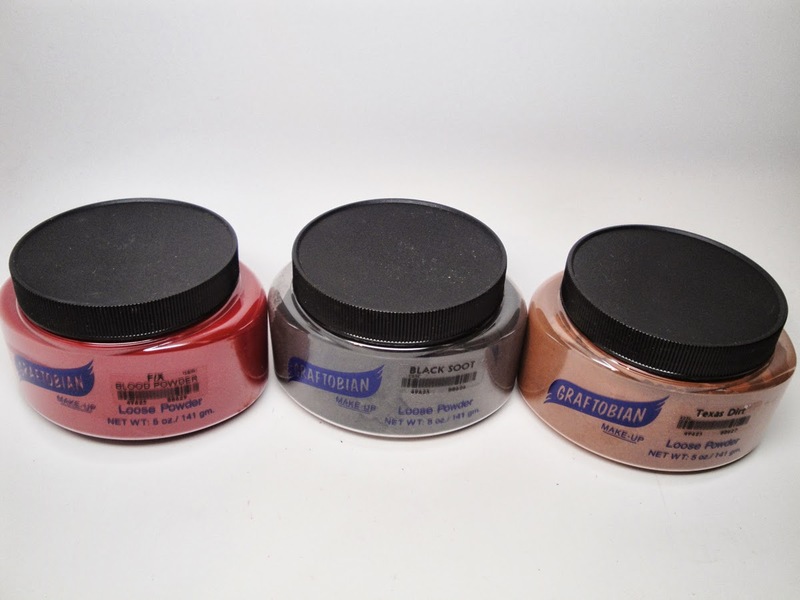 From left to right we have Blood Powder, Black Soot (Graftobian created this specifically for the Mary Poppins Musical on Broadway) and Texas Dirt. 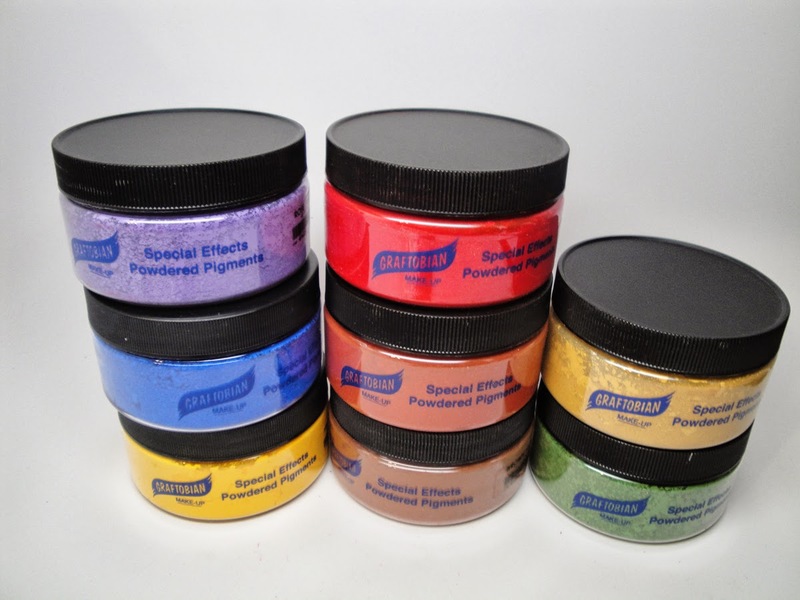 I was lucky to get a hold of these Special Effects Powdered Pigments because they're being discontinued. 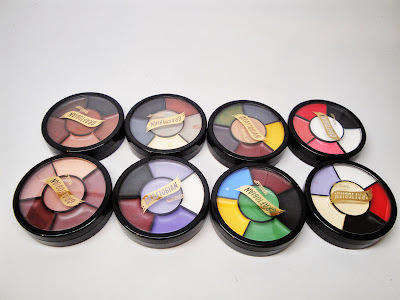 These are great for anything...mixing with liquid to create paints or to apply as a setting powder on top of makeup. Color wheels galore! This is a range of different cream makeup combinations...some of them are for specific characters like Witches and Zombies and others are for bruising and trauma makeup. 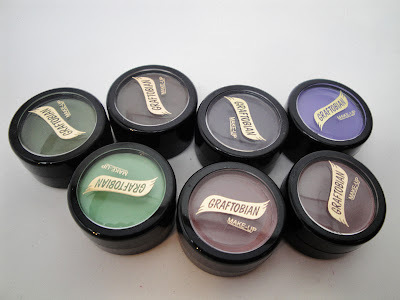 They're super creamy and I love that there are so many shades to choose from. 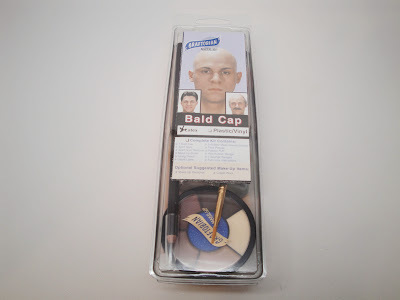 I always like to have an extra bald cap around just in case lol. I do plan on using it in a tutorial this year, stay tuned! These little sticks are used for pottery...I'm going to use them to sculpt and mold clays and prosthetics. Fun! I hope you all enjoyed my little Halloween Haul. You can find all of these items at www.Graftobian.com. 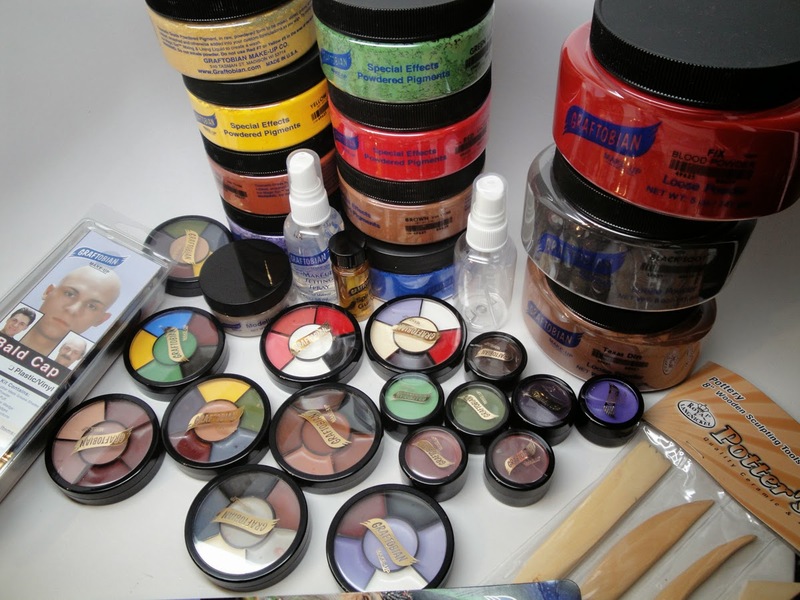 You might want to order in advance so you have time to try out your makeup before the big day! If you have any tutorial requests for Halloween please leave them in the comments below! Halloween Makeup: Grumpy Cat - Easy! 2013 Halloween Makeup: Marge Simpson!